Speaking of feeling at home in Church…. 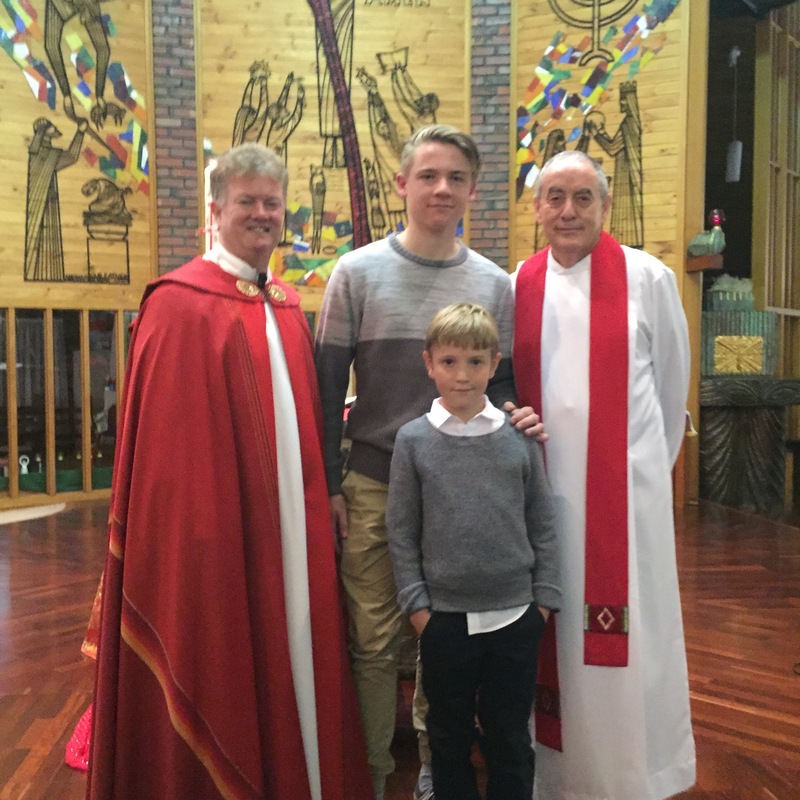 Recently there was a meeting of generations in my home Parish when my youngest son acted as Sponsor for my oldest grandson at his Confirmation. It was lovely when our Parish Priest Fr Michael welcomed the whole family casually but warmly as we assembled in a pew near the front of the Church. “G’Day boys” he said to my teenage boys. 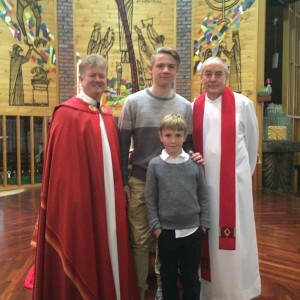 (not many teenage boys go to Church I’ve noticed). We have always sat near the front, atypical for Catholics, since my youngest daughter Emilie complained that she couldn’t see when she was younger! (We were then in prime focus late on separate occasions when the same child fainted and another time threw up in her primary years.) She certainly got attention and care. During Confirmation the Vicar General, Fr Philip told a story about the birth of his niece Kate who now teaches at Holy Family. Amid the huge religious significance of Leo’s Confirmation there was something special about Fr Philip’s approach to people. I think it was about being present in a human way to the people who had taken the trouble to be present in the Church. Fr Philip was reaching out to all the people there, being inclusive of everyone, posing for photos afterwards as he did at the Confirmation in Salisbury, even staying around for the cutting of the Confirmation cake! I appreciated the outreach to people: it wasn’t about power over people but embracing them and their Vision and walking beside them. Very homely and very reassuring that we are in safe hands . This entry was posted in Uncategorized by kwhite. Bookmark the permalink.